A Clitheroe hairdresser has realised a life long dream of owning her own salon after buying a property in the town. The salon recently opened following renovations and a re-brand. Based on Lowergate in Clitheroe the salon’s name has changed from Hair by Trix to SalonOne30. Purchased by local business woman, Nichola Waring, SalonOne30 is a unisex hairdresser specialising in Balayage, up do’s, colouring and cutting techniques, and has already seen a spike in new clientele as well as regular visits from a loyal customer base. 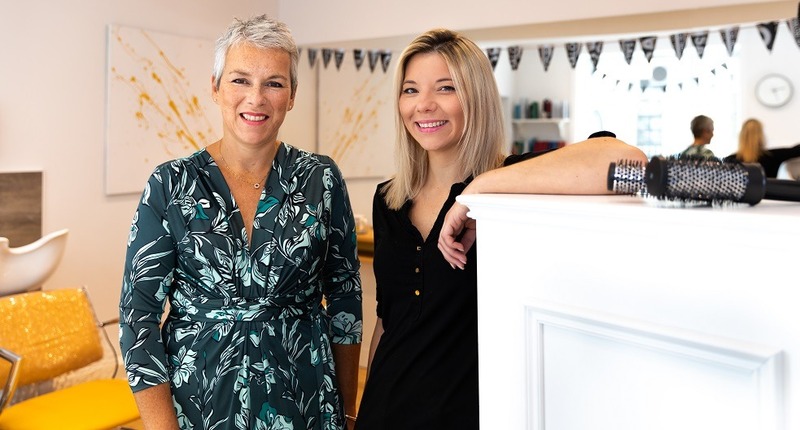 Nichola purchased the property from friend and colleague, Tracy Blain who she previously met during her seven years working at popular Clitheroe hair salon, Garay’s. Harrison Drury’s commercial property team, led by Wendy Newbury, advised Nichola on the salon purchase. Nichola, who has been in the industry for 18 years, said: “When the opportunity came up to purchase the property from Tracey it was too good to turn down. I loved being mobile but owning my own salon has always been my ambition and with two young children the salon is an investment in our future. Sam Anderton of Anderton Bosonnet estate agents, in Clitheroe, also provided project management services to Nichola.